Christi Belcourt is a self-taught artist and educator whose early interest in the floral beadwork patterns of Metis and First Nations women has led her on a journey of exploration into traditional Metis art, history, environmental concerns, and contemporary issues encountered by the Metis in modern times. She has made an in-depth study of plants, especially the medicinal uses of traditional plants, and is the author and illustrator of Medicines To Help Us: Traditional Metis Plant Use. In attempting to transfer beadwork to canvas she has developed a unique painting style where entire floral patterns are created in raised “dots” that simulate beadwork. 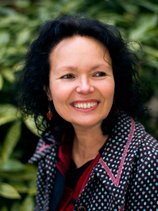 Her work has been commissioned by the Indian and Inuit Art Gallery, the Gabriel Dumont Institute, the Nature Conservancy of Canada, the Centre for Traditional Knowledge, and the Museum of Nature. Her work is found in the permanent collections of the Thunder Bay Art Gallery and the Canadian Museum of Civilization, First People’s Hall. Christi is a past recipient of awards from the Canada Council for the Arts, the Ontario Arts Council, the Chalmers Family Fund, and the Métis Nation of Ontario. Details of her 2009 floral mural My Heart (Is Beautiful) are featured on the conference poster and printed program. The mural will be on display at the conference. 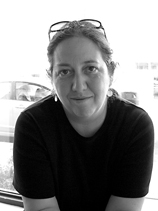 Manon Barbeau has been a writer and filmmaker for over thirty years. Amongst many other projects, she is the producer and general manager of the Wapikoni Mobile Corporation and Vidéo Paradiso, travelling video and music studios for Aboriginal communities and inner-city youth. Wapikoni Mobile was designed to give Aboriginal youth a chance to depict their world through film. The idea is to equip these young people with the skills to express, and be recognized for, their artistic talents. The programs were established in 2003 in collaboration with the National Film Board of Canada, the Assembly of First Nations of Quebec and Labrador, and the Atikamekw National Council. Since 2004, nearly 850 young Aboriginals have learned audiovisual techniques as part of Wapikoni Mobile and their work has been recognized internationally with thirty-one awards and prizes. As part of the World Exposition in Shanghai, China, Cirque du soleil chose four films from Wapikoni Mobile to play continuously at the entrance to the Canadian Pavilion. Two films by Wapikoni Mobile directors were also selected as part of the motion picture programming for the Vancouver Olympics and were broadcast on towering high-definition screens in Vancouver and Whistler, on handheld devices, and on computer monitors around the world during the games. Wapikoni Mobile has gone international as well, working with indigenous peoples in several countries including Brazil. 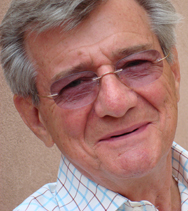 Gerald Vizenor is Distinguished Professor of American Studies at the University of New Mexico and Professor Emeritus at the University of California, Berkeley. He is a prolific writer and author of more than thirty books in all literary genres, including poetry, drama, journalism, tribal history, cultural criticism, and fiction. He is unafraid to prod and provoke his audience, and has created his own complex lexicon to convey his view of Native America. He stands as the most original and critically acute of all Native American writers. Amongst many other publications, he is the author of The People Named the Chippewa: Narrative Histories and Manifest Manners: Narratives on Postindian Survivance. He won the American Book Award for Griever: An American Monkey King in China, and received a Distinguished Achievement Award from the Western Literature Association. His most recent publications include Fugitive Poses: Native American Indian Scenes of Absence and Presence, the collection of essays Native Liberty, the novel Father Meme, and a selection of poetry Almost Ashore. Vizenor is series editor of American Indian Literature and Critical Studies for the University of Oklahoma Press and, with Diane Glancy, is a series editor of Native Storiers: A Series of American Narratives for the University of Nebraska Press. 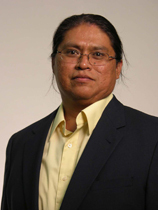 A delegate to the White Earth Reservation Constitutional Convention for the past two years, in 2009 Vizenor was named Principal Writer of the New Constitution of the White Earth Nation in his home state of Minnesota. Tanya Tagaq has been described as an extraordinary groundbreaking live performer, composer, and improviser who makes throat singing sound fiercely contemporary, even futuristic. Ranging from whispers and haunting melodies to full-force passion and power, she is able to move fluidly between genres. Her 2005 debut CD Sinaa (“edge” in Inuktitut) received three Canadian Aboriginal Music Awards including Best Female Artist. She has performed all over the world and has collaborated with numerous contemporary musicians including Bjork and the Kronos Quartet. 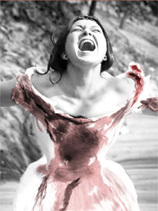 Her follow-up CD, Auk/Blood, from 2008 features many such collaborations. She comes to the New Sun Conference following her performance in Vancouver as part of the Cultural Olympiad. She and her music are featured in the dramatic short film Tungijuq (a meditation on the place of the seal hunt in Inuit life), which has been selected for screening at the Sundance Film Festival.